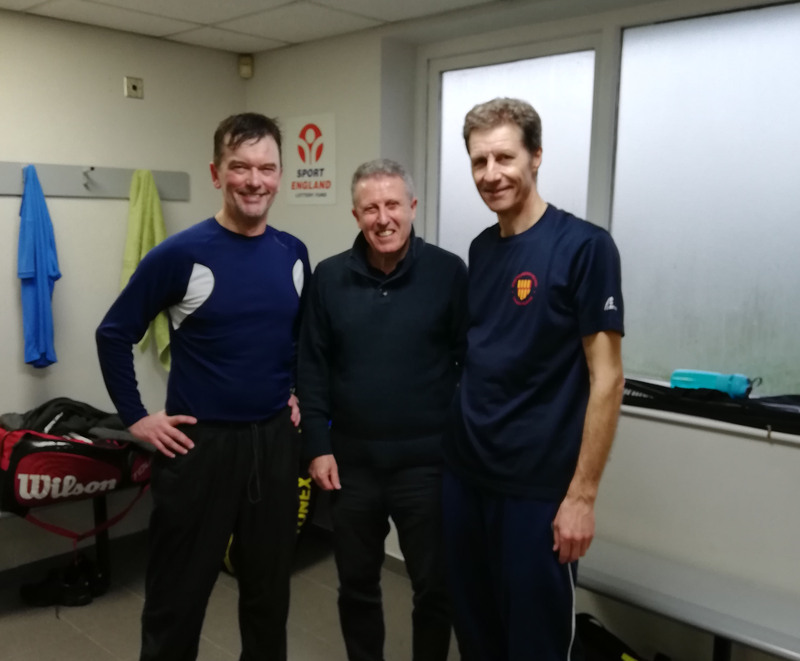 Playing in a 3-county group staged at Manchester Northern on 2nd March, the Northumbria Men’s O60 team lost narrowly to Merseyside and then heavily to Lancashire to finish bottom of the group. 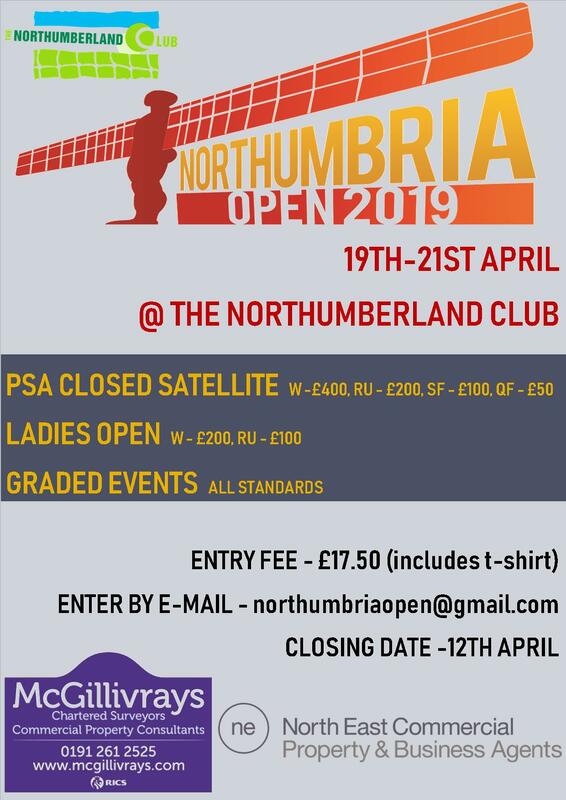 The Northumbria team had already been deprived of current County and National O60 champion Jon Evans and County O60 runner-up Ron Freeman, who had been commandeered by Bobby Backhand to play for the O55s on the same weekend. 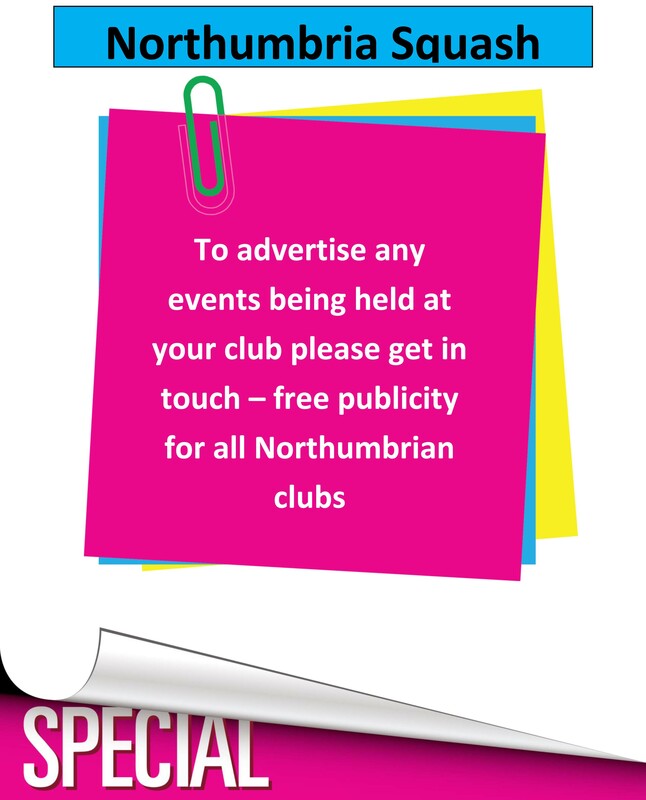 Next-in-line Andrew Wilkinson was unavailable and Adrian Alderton had been injured, so the team was stalwarts John Thompson and Colin McNestrie (both Tynemouth) and fresh-faced newbie Joe Witherspoon (Chester-le-Street). After Lancashire had opened proceedings with a comfortable 3-0 (12-0) win over Merseyside, Northumbria narrowly lost to Merseyside 1-2 (6-10), Colin at 2 getting us off to a great start with a 3-1 win over Steve Wildgoose, but John at 1 losing to Jez Horrocks 1-3 and Joe at 3 going down narrowly 2-3 to Steve Kyriakou in an epic deciding match which included a 24-22 second game. Thanks to Colin and particularly Joe for representing the County. There’s always next year I suppose!